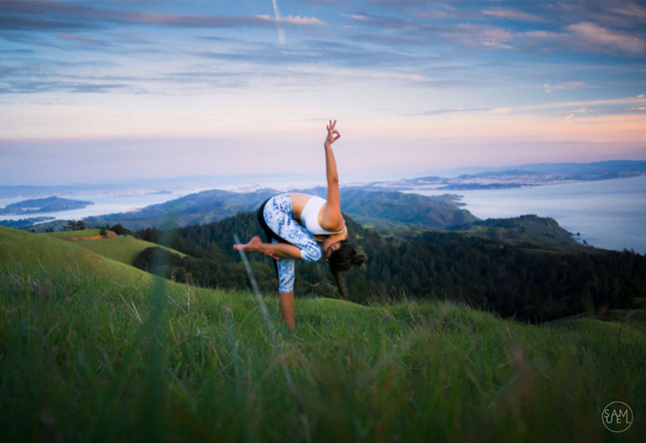 Once a mysterious and obscure practice for the few, yoga has now become oxygen for a million souls and a universal icon for serenity that resonates with urbanites all over the world. Popular for its ability to control stress, yoga is an engaging counterpoint to modern life. With just a few movements (and proper alignment and breathing techniques), yoga can neutralize the influence of the digital world and aid our health. Swami Sivananda describes beautifully the health benefits of yoga and meditation, “You can have calmness of mind at all times by the practice of yoga. You can have restful sleep. You can have increased energy, vigor, vitality, longevity, and a high standard of health." Yoga can empower individuals to overcome disease and gain control over their health and life. Perhaps it can even reduce your need to visit hospitals throughout the years. The effects of yoga on the body. We can think of yoga as a science, proven over thousands of years. Without sufficient oxygen in the body to generate energy, lactic acid begins to accumulate, causing muscle fatigue. Through the slow moments of yoga, combined with purposeful breathing, the body receives sufficient oxygen, without causing any strain on the heart. Any lactic acid is released through relaxation poses. Inside and outside, your body is massaged, toned and stimulated, aiding with digestive, muscular, skeletal, cardiovascular, lymphatic, respiratory, urinary and reproductive systems, including your skin, eyes and hair. On the spine, joints, and central nervous system - Yoga also works on the spine, helping to promote proper posture, and on the central nervous system, toning sympathetic and parasympathetic nerve control. With yoga, range of motion improves as joints are opened and pressure is exerted on the cartilage. On the endocrine system - Many yoga poses also work on the endocrine glands, stimulating the pineal, pituitary, thyroid and adrenal glands to keep secretions and hormones in balance. On the digestive system - The digestive system is another beneficiary of regular practice. When we take deep breaths in yoga, the diaphragm moves downward, massaging the digestive system and with some poses, applying gentle pressure to the organs. Poses on our belly exert pressure on the small intestine, while twisting poses cause contraction on the organs that, when released, allow old blood and fluid to escape as fresh blood flushes in. On circulation - Almost all yoga poses improve blood circulation. Inverted poses give valves rest and allow fresh blood to flow to the head without putting additional strain on the heart. Practicing yoga sequences make the heart muscles stronger and provide massage to the heart itself. On the respiratory system - The respiratory system is improved through slow breathing techniques like pranayama. Deep breathing takes in oxygen that aids in the development of strong muscles and tissues. Exhalations release blood toxins. And a few minutes of meditation can work magic on the body and soul, all without having to exert yourself. Hundreds of studies have been released citing the amazing health benefits of meditation. It reduces stress, builds the immune system, lessens pain and helps overcome depression, anxiety and stress. It builds grey matter in areas that regulate emotion and self-control. It improves concentration and focus. A few minutes of daily meditation can have incredible effects from head to toe. Sri Sri Ravi Shankar explains, "the quality of our life depends on the quality of our mind”. Outside circumstances are out of our control but we can control what's happening inside us, and when our mind is at peace, we will be too. That is the real power of yoga and meditation. When your core organs are massaged, blood circulation is improved and oxygen levels restored, you have saved yourself from all kinds of body ailments and diseases.